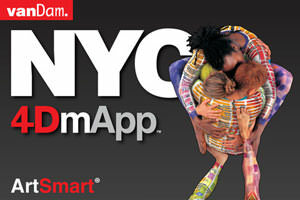 VanDam announces the release of four new NYC map apps based on its proprietary and immersive 4DmApping technology. NYC StreetSmart, NYC ShopSmart, NYC EatSmart and NYC ArtSmart are the first in a series of immersive 4DmApps to NYC (and other global cities) which let users fly through the city and become part of the map. 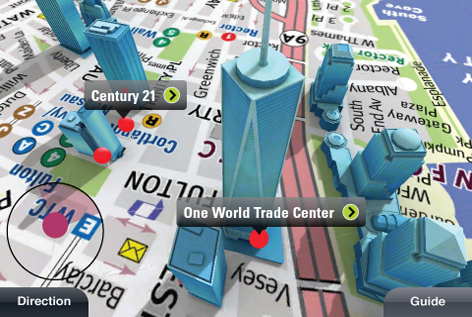 Stephan Van Dam's latest advance in the art and technology of mapmaking expands the map experience -- The 4th dimension? FUN! PINCH IT, to ZOOM OUT, or PUSH IT to ZOOM IN with lightening speed. TURN it to face the direction you’re going or simply ROTATE TO IMMERSE YOURSELF in city streets. All four of VanDam's 4DmApps -- like all VanDam's print maps -- are clear and easy to read. You can locate yourself on the map instantly and easily see the direction you're facing. 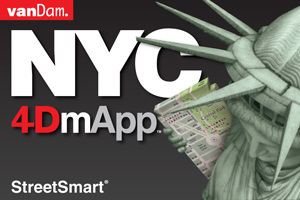 VanDam’s NYC StreetSmart 4DmApp sports a highly curated guide to the top 120 sights from Manhattan's Meat Market to Brooklyn's BoCoCa neighborhood and beyond. Museums, performing arts venues, landmarks and notable architecture. 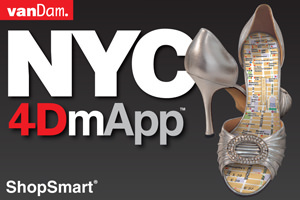 NYC ShopSmart 4DmApp identifies more than 600 of the hottest and most specialized stores by NEIGHBORHOOD or CATEGORY. Or simply locate yourself on the map and find what’s close by. From Tani NYC on the Upper West Side to Catimini for children’s wear on the Upper East, from Kiton Men’s Bespoke in Midtown East to A Uno in Tribeca or Brooklyn Circus in Boerum Hill. It’s a feast for the serious or playful consumer. NYC EatSmart features a highly curated dining guide to the top culinary destinations from Manhattan's Flatiron District to Brooklyn's Fort Greene in all price ranges. This guide knows what to include and what to leave out. 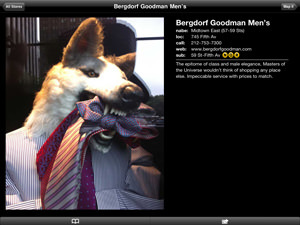 Interactive guides give multiple perspectives with mobile reservations in a snap. VanDam's NYC ArtSmart presents a highly curated culture guide to the best NYC has to offer: From the Met to the Ontological Hysteric Theater. This guide knows what to include and what to leave out. Interactive guides help you select and make mobile ticketing a snap. Most important -- all apps work and search off-line so neither a wifi nor a web connection is needed. 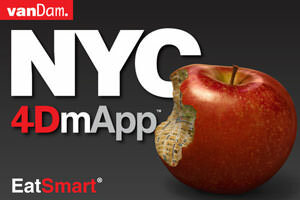 More mApps are on their way to New York and other global cities. 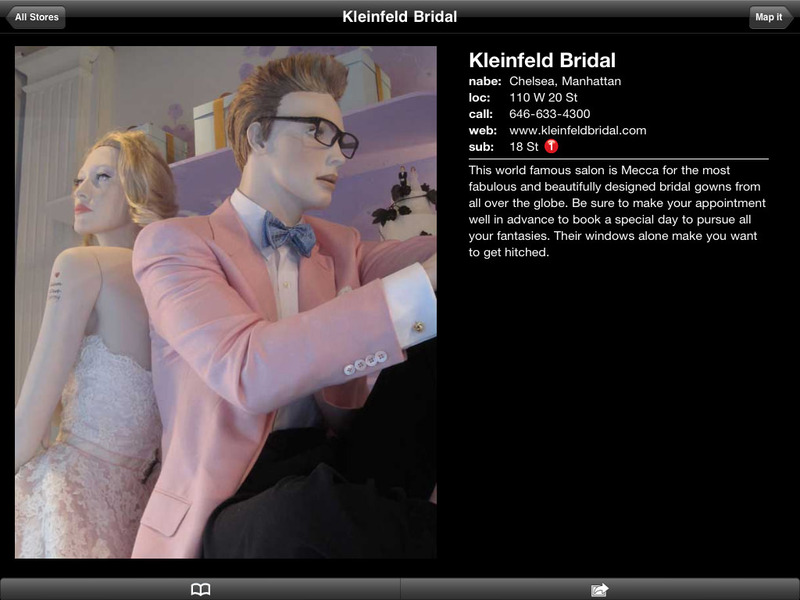 VanDam will be adding to these apps with more curated overlays of editorial content: restaurants, entertainment, and movie locations. Other world cities are in the works like Hong Kong and London. For 25 years VanDam's print maps have garnered critical and consumer acclaim for their playful ingenuity, ease of use and clarity of information design. In 2010 MoMA (The Museum of Modern Art) acquired 26 of Stephan Van Dam’s classic patented origami “Unfolds” maps of the world's great cities. The original Unfolds series of pop-up maps – three parts for each city – unfold to 18 times their original size, then re-fold automatically. 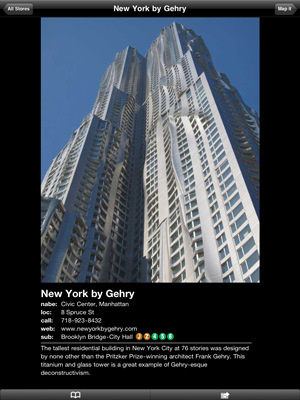 VanDam publishes maps and guides to 85 global cities in a variety of formats which are sold in airports, drugstores, supermarkets and museums -- from Walgreens to the Guggenheim -- proving that good design sells everywhere. 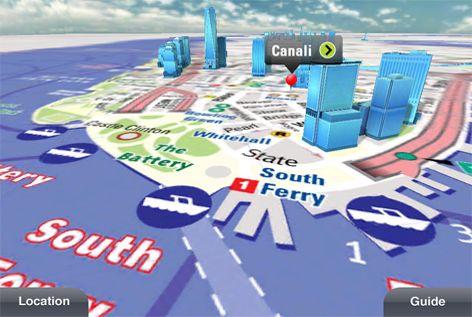 In a presentation at TED in 2002, Van Dam began thinking about how technology could immerse the user into the experience of the map itself. "Now the 4DmApp series makes a huge leap by immersing the user into the map and bridging the gap between the abstract and the concrete." A breathtaking range of projects makes this enthusiasm tangible. From trilingual maps to Beijing, Shanghai and Hong Kong, to mapping the heavens in Disney’s Epcot Sky Calendar. From creating the first extra-dimensional cover for Marvel Comics to mapping religious freedom in Queens. From designing off-beat drives to launch BMW’s mini to creating a NYC culture guide to honor the U.N’s 50th anniversary. From creating a way-finding and information design system to promote cultural tourism for Heritage Trails in Lower Manhattan to helping Pfizer guide physicians during conventions, VanDam’s passion for maps shows at every turn. VanDam's 2.5 series for global cities provides a sassy take on two and a half day visits to New York, Hong Kong, Shanghai, Paris and London and are under development both as printed and 4DmApps. Following September 11, 2001 Van Dam was commissioned by the Regional Planning Association (RPA) to create an animated 8.5 minute film to articulate a new vision for New York's public transportation, to build a consensus for that project and to serve as a fundraising tool. Fifteen hundred DVD copies of the film were distributed to key policy makers and politicians and it was shown on CNN worldwide. Van Dam’s efforts were crowned by success when Congress approved $4.5 billion dollars in new public transportation funding for the project.